It’s not often you say you got to speak to an Olympic athlete, but one day I might have that pleasure! But I have spoken to a potential Winter Olympic star! The pair have been dancing since they were very young, Richard when he was 6 and Sophie when she was 3 or 4, thanks to her parents being skating coaches. They have been dancing on ice together for nearly 4 years, pairing up by pure fluke. They were entered together in a recreational youth league, which proved successful and lead to the start of their skating partnership. In their first year together they finished 4th in the British Championship 2007 at novice level, and have since gone on to win silver medals in both the British Junior Championships 2010 and the Estonia Tallin Trophy 2009. They have also competed at Junior level in Belarus and Poland in the Youth Olympics 2 years ago, as well as competing in the Romanian Grand Prix finishing 12th. At the most recent British Championships the pair were beating the #1 ranks after skating well in the short dance, but an unfortunate slip from Richard at the beginning of the free dance proved costly. When speaking to him about it I could hear the disappointment and frustration in his voice! Richard and Sophie are currently preparing for the next Junior competition in Sheffield, and have nearly finished their choreography for the free ance section already. Training 2 hours, for 6 days a week the pair are very driven to make sure they succeed in their quest to compete in the Winter Olympics in 2018. Richard travels an hour to the Gillingham Ice Bowl each day for training, before starting work at Anglian in Chelmsford as the telecan manager, which shows the true dedication to the cause! In a conversation earlier Richard told me how Sophie “kept him sane” when dance moves haven’t gone right and the frustration has kicked in. From what I heard they are a great team, and both continuously set goals to achieve in the coming years. This was proven last year as they went from rank 5th to 2nd in the space of 1 year! From everyone on the Anglian blog team we wish them both the best of luck and look forward to hearing of more success in the coming years, and my fingers are crossed to see you in the Winter Olympics!! 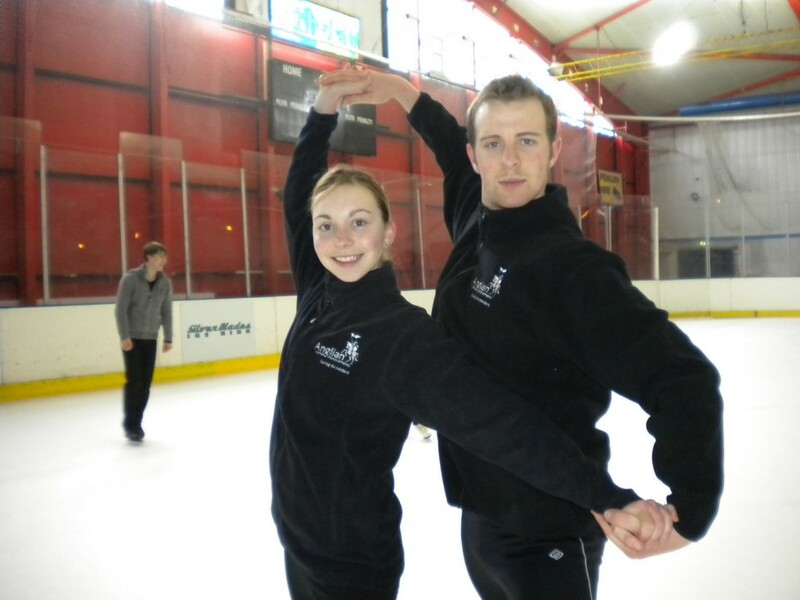 19 year old Richard Sharpe from Chelmsford and skating partner Sophie Jones, both dream of one day skating in the winter Olympics for Great Britain. Their dream is becoming ever closer, as they are both pushing up the ranks at “Junior” level and look to move into the “Senior” level after this year. Richard travels an hour to the Gillingham Ice Bowl each day for training, before starting work at Anglian in Chelmsford as the telcan manager, which shows the true dedication to the cause!